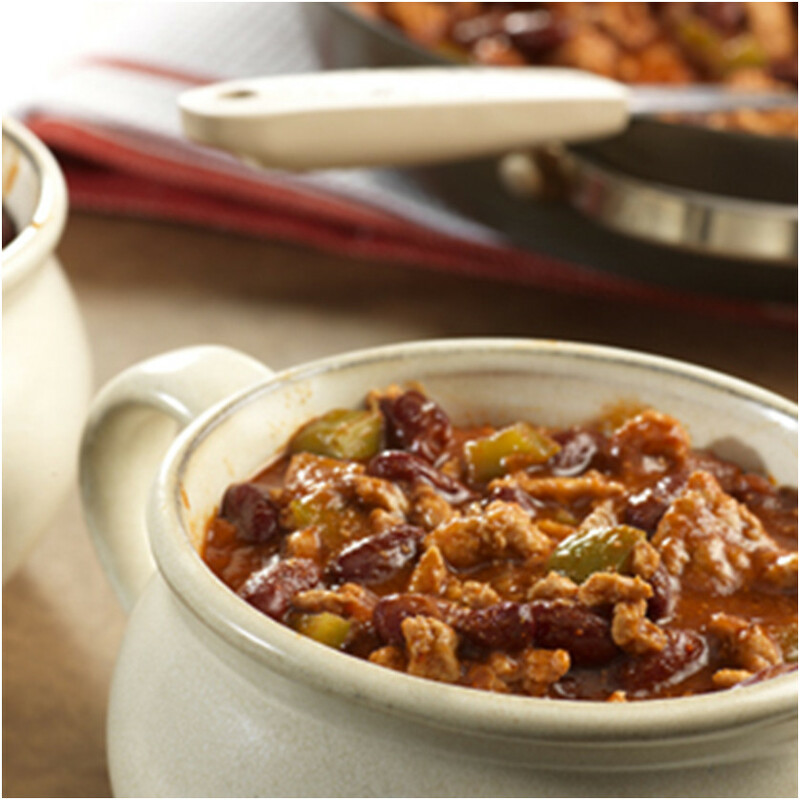 This chunky chili is a quick and effortless crowd pleaser, packed full of veggies! Cook the minced turkey, onion, chili powder and cumin in a large saucepan over medium-high heat until the turkey is cooked through, stirring often. Add the vegetable juice, pepper and kidney beans to the saucepan and heat to a boil. Reduce the heat to low. Cover and cook for 15 minutes or until the vegetables are tender.